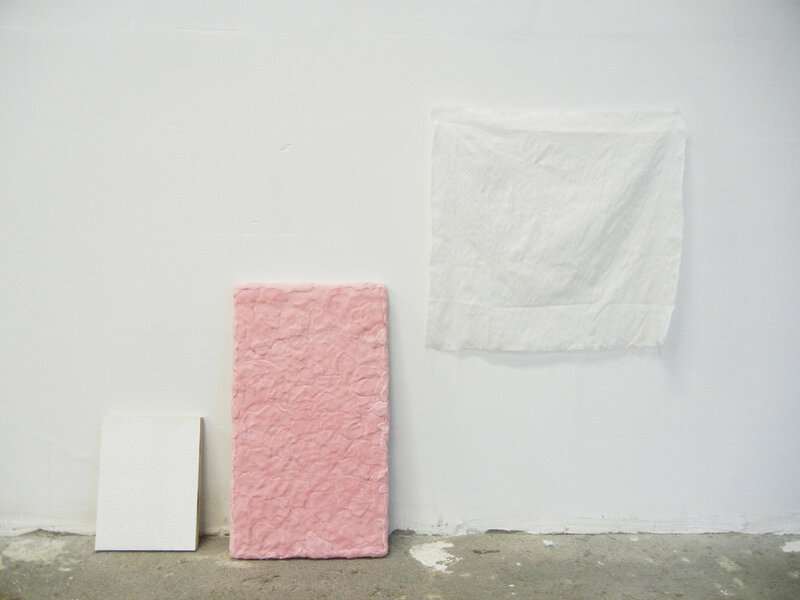 Stephanie Granlund’s practice is currently centred around experimenting with once consumable products to then create new art-based materials. Lekker is a body of work based on explorations she began in her final year of sculptural studies and continued to investigate during her recent time in the Netherlands. As the food-based items she engages with are often those that are available in the environment she is working in, her work is significantly influenced by her surroundings. During her time in the Netherlands she discovered many new sugary foods to play with. Through a process of abstraction and play, the once consumable products move away from edibility and focus turns to their material, tactile and sensory qualities. Easily seduced by the inherent qualities of sugary products, there is also a certain ambiguity that sits with the highly aesthetic outcomes she creates. Lekker presents these sugary experiments alongside other sculpture-based materials. Stephanie Granlund a sculptor and installation based artist currently living in Melbourne. She holds both a Bachelor of Design from Queensland University of Technology and a Bachelor of Fine Art from the Royal Melbourne Institute of Technology. She completed her studies in 2017 in the Netherlands at the Hogeschool voor de Kunsten Utrecht (HKU). Recent exhibitions include TUUB (HKU), Selfie (Neon Parlour) and Formation(First Site Gallery). She has over five years experience working in galleries and studios in Brisbane and Melbourne. Most notably is her work as the Project Assistant to the Victorian Craft Awards at Craft Victoria in 2015 and 2017 and as a Studio Assistant for Emily Green from 2015 – 2017.